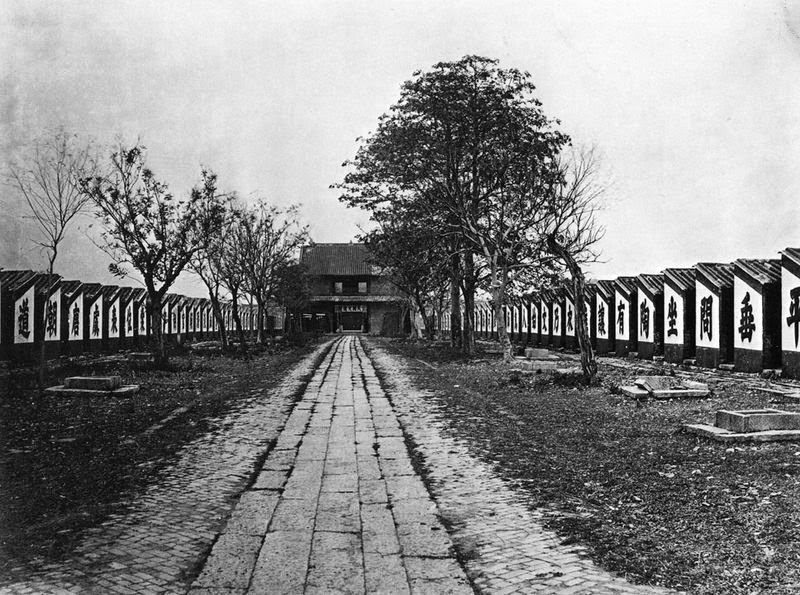 "Examination hall with 7500 cells," Guangdong (1873). “That was a mistake. Right from ancient times all the best men have gone in for the civil service. Confucius, for instance, lived during the Spring and Autumn Period when men were selected as officials on the strength of their activities and sayings. That is why Confucius said: 'Make few false statements and do little you may regret, then all will be well.' That was the civil service of Confucius' time. “By the time of the Warring States, the art of rhetoric had become the road to officialdom: that is why Mencius traveled through Qi and Liang delivering orations to the princes. That was the civil service of Mencius' time. “By the Han Dynasty, the examination system was designed to select men for their ability, goodness and justice; and thus men like Gongsun Hong and Dong Zhongshu were appointed to office. That was the civil service of the Han Dynasty. “By the Tang Dynasty, scholars were chosen for their ability to write poetry. Even if a man could talk like Confucius or Mencius, that would not get him a post; so all the Tang scholars learned to write poems. That was the civil service of the Tang Dynasty. “By the Song Dynasty, it was even better: all the officials had to be philosophers. That was why the Cheng brothers and Zhu Xi propagated neo-Confucianism. That was the civil service of the Song Dynasty. --Wu Jingzi, The Scholars (儒林外史), chapter XIII, translated by Yang Hsien-yi and Gladys Yang (Beijing: Foreign Language Press, 2005),173-4. "“Meritocracy” is not what you think: don’t forget about the “ocracy”"
Andrew Gelman. The Monkey Cage (13 July 2014). "Economies of Scale Killed the American Dream"
"The State of Consumer Technology at the End of 2014"
Ben Thompson, Stratechery (16 December 2014). One of the defining characteristics of the three major epochs of consumer computing – PC, Internet, and mobile – is that they have been largely complementary: we didn’t so much replace one form of computing for another insomuch as we added forms on top of each other.1 That is why, as I argued in Peak Google, many of the major tech companies of the last thirty years haven’t so much been disrupted as they have been eclipsed by new companies built during new epochs. All of the attention and relevance in tech especially is focused on emerging and growing companies, even as mature giants reap massive profits. Ben Thompson's "Stratechery" is such a magnificent blog I am surprised I had never heard of it before. I discovered it last week and have been binge-reading through the archives since. Thompson's topic of choice is business strategy in the consumer tech market. I suspect his posts will appeal to two types of readers here at the Stage: those interested in futuristics and the way technological change has and will yet change the structure of the global economy, and those interested in strategic thought and theory. Comparisons between military science and business strategy rub some folks the wrong way. I am not one of them. In an oligopolic market business strategy is much more than branding; economists model the strategic interaction between oligopolic firms with many of the same game theory models security professionals use to describe international relations. When tech giants are involved it quickly becomes a zero-sums competition much crueler than most of today's politics. The topic is worth your attention. I found the following Stratechery posts to be particularly thought provoking: :"Why Uber Fights," "Peak Google," "Xiaomi's Ambition" "How Technology is Changing the World (P&G Edition)," and "Newspapers are Dead: Long Live Journalism." "The Quiet German: The Astonishing Rise of Angela Merkel"
George Packer, New York Review of Books (1 December 2014). "Horrifying Civil Liberties Predictions for 2015"
Radley Balko, Washington Post (30 December 2014). I'll ruin the surprise ending: everything on this list happened in 2014. It is a damning list. "The Great Civil Military Freakout"
"The Scariest Explanation for America's Vast Prison Population: We Want it That Way"
Jakub Wrzesniewski, Pacific Standard (6 January 2015). "Criticizing the “Low-Key” Approach: Chinese Responses to the DPRK Soldier-Murderer in Yanbian"
Mr. Cathcart's analysis here is really top notch; he also translates a Global Times editorial on the murders. This should be read by everyone following Sino-North Korean relations, of course, but also anybody who has ever used or plans to use the Global Times as a source for their own analysis. "Regulating the Fourth Estate With China"
Kaiser Kuo with Daniela Stockmann, Sincica Podcast (December 2014). Strongly recommend listening to this one. Westerners tend to throw about a great deal of nonsense when it comes to describing the relationship between Chinese public opinion, the Party, and the media. This should help dispel a lot of the confusion. Dr. Stockmann's book also looks like it is worth reading. "Chinese Special Ops: Not Like Back at Bragg"
"Inside a Chinese Test-Prep Factory"
Brook Lamer, New York Times (31 December 2014). "A Family Divided: The CPC's Ethnic Work Conference"
"Chinese Media Compiles Top Internet Memes For 2014"
"Joe," ChinaSMACK (16 December 2014). "'State Capacity' and Sino-Japanese Divergence"
"Pseudoerasmus", Pseudoerasmus (8 December 2014). This piece is worth reading for the graphics included alone. "Samurai, Bushido, and Death, pt. I" and "Samurai, Bushido, and Death, pt. 2"
Samurai Archives Podcast, Bonus Ep. #6 (5 & 20 November 2014). They also have what looks like a promising episode out on the economics of the Edo Period, but I have not listened to it yet. "Populations, Not Nations, Dictate Development"
Dietz Vollrath, The Growth Economics Blog (2 January 2014). "Why Cultural Evolution is Real (and What it Is)"
"BirgusLatro," Carcinization (22 November 2014). John Gee, Forn Poll Fira (29 December 2014). Why do millennials leave the faith of their childhood? The post is written with a focus on the LDS (Mormon) experience, but the data analyzed is not Mormon specific. Myra McDonald, War on the Rocks (10 December 2014). It is worth considering another possibility. What if the United States is wrong in its assumption that Pakistan’s reliance on Islamist militant proxies is primarily a reflection of its insecurity about India? Since 2001, U.S. policies have been driven by the idea that Pakistan nurtured Islamist militants in response to the insecurity it felt after its defeat by India in the 1971 war, which turned then East Pakistan into Bangladesh. Washington’s objective, therefore, has been to convince Pakistan to turn its back on Islamist militants while fretting about Pakistani domestic stability were it to force Islamabad/Rawalpindi to go after them too abruptly. In other words, it has focused on Pakistan’s insecurity. Thus as early as November 2001, just two months after the September 11 attacks, the United States allowed Pakistan to fly out an unknown number of Taliban fighters, along with Pakistani officers and intelligence operatives, from the northern Afghan city of Kunduz in order to bolster the position of then military ruler Pervez Musharraf. Later, it assumed that Pakistani support for the Afghan Taliban was at least partly in response to rising Indian influence in Afghanistan. Thus in his 2008 election campaign, then candidate Barack Obama suggested the United States should try to help resolve the Kashmir dispute in order to let Pakistan focus on tackling militants; thereby helping to end the Afghan war. Those hopes – which had aggravated India which resents outside interference in Kashmir – disappeared with the attacks on Mumbai in November 2008. What if it were the other way around – that the Islamist project came first and insecurity about India either provided the excuse and/or was the result? "Rainsy Celebrates 1 Million Followers on Facebook"
Ouch Sony and Alex Willemyns, Cambodia Daily (17 December 2014). To put that into proper context: Cambodia only has 15 million people. About 1 in 15 Cambodians follow Sam Rainsy's facebook page. I am fascinated with how central Facebook is to Cambodia's political culture. The readers of Facebook feeds like "I Love Cambodia Hot News" simply dwarf the circulation of the country's largest daily, Rasmei Kampuchea (to say nothing of its English papers, Phonm Penh Post and The Cambodia Daily). Rallies and protests are all organized through Facebook; folks like 18 year old Thy Sovantha (200,000+ followers) use the medium to become over-night political stars. People talk about how countries in the developing world have "leap-frogged" fixed-line infrastructure of the 20th century (like telephone lines) and jumped straight to the technology of the 21st century (like cell phones). I think something very similar is happening in Cambodia with social media. "Survey of Global Perceptions of International Leaders and World Powers"
Tony Saich, Ash Center for Democratic Governance and Innovation (December 2014). Xi Dada is the most popular leader in the world. "Abenomics 2.0: Just What Are They Trying to Achieve?" Edward Hughs, Fistful of Euros (7 November 2014). "Simulating the Senate: Classics Course Immerses Students in Roman History and Government"
Abby McBride, Bowdoin in the News (3 May 2013). This is brilliant--quite possibly the best designed undergraduate level history class I have ever seen. Full syllabus here. There must be a way to do the same thing with imperial China. "Seismicity and Sediment Flow in the Mekong River Basin"
Michael Burley, East By Southeast (23 December 2014). Victor Mair's translation of the Sunzi Bingfa. 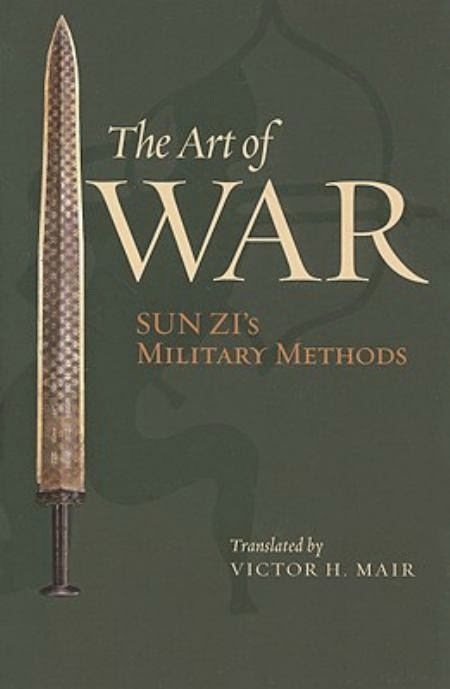 When translated into English, the Sunzi Bingfa, usually titled Sunzi's Art of War, is a fairly small work. When we take away the commentary and annotation added by its translators we are left with a sparse text indeed: Roger Ames' translation is 71 pages long, the Denma Group's translation is 66 pages, Victor Mair's translation is only 56, and Ralph Sawyer's translation clocks in at a mere 30 pages total. The brevity of the Sunzi explains its staying power. The Sunzi only has space for a foundational discussion of abstract strategic principles, leaving no room for detailed discussions of either the tactics or the political realities of its time. This is what gives the Sunzi its transcendent feel. Great power competition between the kingdoms of Chu, Qi, and Qin faded into the realm of memory centuries ago; the proper way to deploy squadrons of crossbowmen and charioteers is now a question that interests only the historian. In contrast, the strategic principles outlined in the Sunzi endure. Their very terseness frees them from the historical context from which they came and allows them to be applied by men living thousands of years after they were first etched into bamboo. Timeless as it may seem, however, the Sunzi was the product of problems experienced at a specific time and a specific place. It is my belief that we cannot really understand the Sunzi if we do not first understand the world from which it came--the world of the Warring States. A few historians and scholars of Chinese thought have written this sort of analysis; the best of these attempts to place the Sunzi within its historical context are usually focused on the broad, macro-historical trends that divided the Spring and Autumn period that preceded the Sunzi from the Warring States period that gave birth to it. From this perspective the Sunzi and the other military manuals that followed it were the natural product of a world torn asunder by wars waged on an ever increasing scale between large infantry armies fighting in the name of territorial, bureaucratized states. There is, however, more to the Sunzi's historical setting than the institutional history of ancient China. Just as important is the intellectual milieu of early Warring States times. The compilers of the Sunzi were not the first Chinese to write about war. When read as a response to these earlier voices, the Sunzi's vision of war and politics is nothing less than radical. My thoughts on this topic have been prompted by an excellent essay by Andrew Seth Meyer. Dr. Myer is a specialist in ancient Chinese thought and classical Chinese philology. He spent most of the last decade engaged in a multi-author translation of the Huainanzi; the essay in question is Meyer's introduction to the Huainanzi chapter "An Overview of the Military." The Huainanzi was written several centuries after the Sunzi, compiled under the direction of Liu An, uncle to the young Han emperor Han Wudi. The book was intended to be an encyclopedic handbook on governance, containing chapters on every topic Liu An and his team of writers thought Han Wudi might possibly need to master in order to govern the realm. The entire book is fascinating and for anyone interested in the history of the Former Han Dynasty, Chinese political philosophy, or Daoism it is necessary reading. For those daunted by its thousand page length an abridged version of the translation was published two years ago, and several of its chapters have been published as independent books, including its chapter on military methods, "An Overview of the Military." Meyer's essay is the introduction of this last book, which is published under the title The Dao of the Military: Liu An's Art of War. To understand what the Huainanzi has to say about war, Meyer suggests, you must first understand the works it was hoping to synthesize and supplant. That means taking a hard look at the Sunzi. The great affairs of state are sacrifice and warfare. [In the Sunzi] all mention of sacrifice is eliminated, telegraphing the text’s contention that martial matters must be viewed in purely material terms. Rather than “warfare,” the “military” is held up as the great affair of state, implying (as the text goes on to elaborate) that there are uses for military power beyond the ‘honorable’ contest of arms. Moreover, the word that the Sunzi uses by reference to the “military,” bing （兵）, does not evoke the aristocratic charioteer but the common foot solider, who had become the backbone of the Warring States army. From this perspective warfare was not merely a ritual but the sacred template on which all other forms of ritual were in some sense based..... In Bronze age, victory began and ended in ancestor temples; “the victory was to be reported to the ancestors and the fruits of the battlefield offered up to them in a culminating round of sacrifices. War was, form beginning to end, a sacred devotional act, one to which bloodshed (as evidenced by the offering of severed ears) was indispensable…. From this early aristocratic perspective, the maxim for which the Sunzi is perhaps most famous, “to achieve one hundred victories in one hundred battles is not supreme excellence, to reject battle and yet force the submission of the enemy troops is is the supreme excellence" is worse than nonsensical, it is offensive. To take up arms without shedding blood was sacrilege in the world of Bronze Age aristocrat. The Sunzi’s standard of excellence (like so much else in the text) plays havoc with the normative categories of the aristocratic ethos. Dr. Meyer carries on this way for some time, comparing passages in the Sunzi to statements found in the Analects, Mengzi, Zuo Zhuan, Book of Documents and other texts of great antiquity (regrettably, the complete discussion is too long to copy in total here). His point is demonstrated throughout: the Sunzi was not just sign-post or a byproduct of the transition between the social order of the Spring and Autumn Period and the age of the Warring States -- it was a revolutionary attack on the old social order itself. Many of the Sunzi's concerns and preoccupations are difficult to understand (or see!) without knowledge of the ideas and attitudes it was attempting to displace. Mortimer Adler is famous for describing the famous books of Western civilization as a "great conversation." This post should give readers a sense of how the "great conversation" of ancient Chinese thought began. The material compiled by the makers of the Sunzi was but one voice in this conversation--though it was a voice so compelling that it would totally displace the ritualized and aristocratic views of war that preceded it. However, it would not be the final voice of the Chinese strategic tradition. In the age of Warring States no philosopher or political theorist could avoid discoursing on war and political survival. Many of these thinkers--legalists like Shang Yang and Han Feizi, realist Confucians like Xunzi and Jia Yi, or the Huang-Lao Daoists who compiled the Huainanzi--developed cogent and often sweeping critiques of the Sunzi's stratagems. Arguably it was by disregarding the Sunzi's maxims entirely in favor of the theories of the Sunzi's critics that the statesmen of Qin were able to end the era of Warring States and unite all of China. The popularity and influence of these various schools and perspectives would rise and fall over the course of Chinese history. This notion of a "great conversation" is helpful for understanding these intellectual transitions. Too much scholarly effort has been devoted to searching for a single Chinese or Asian "way of warfare" that can be found throughout Chinese history when the messy reality is that the Chinese strategic tradition is made up of many divergent voices. From this cacophony Chinese statesmen and generals are free to pull out the strands that best fit their needs and inclinations. Make no mistake: though no longer the radical voice in this conversation the Sunzi is still a powerful one. Yet it is still one voice among many. Our understanding of the Sunzi and the strategic tradition it has come to embody is often best served by paying closer attention to these other voices. The original version is even more sparse--with normal 12 point font and single-space breaks, I can fit the entire text onto a nine page Microsoft Word document. Roger T. Ames, The Art of Warfare (Classics of Ancient China) (New York: Ballatine Books, 1992), 101-172; Ralph Sawyer, Seven Military Classics of Ancient China (Boulder, CO: Westview Press, 1996), 157-187; Denma Translation Group, The Art of War: Translation, Essays, and Commentary (Boston: Shambhala, 2009), 1-66; Victor H. Mair, The Art of War: Sunzi's Military Methods. Before anyone asks--yes these are the only four Sunzi translations worth buying. The rest are not worth their cost. I am completely convinced the old Lionel Giles version ought to be burnt on sight. I am hardly the first to express this idea. I am surprised, however, at how much resistance I have encountered when I express it. After all, who in their right mind discusses Plato or The Federalist Papers or even Clausewitz without also discussing the historical context and intellectual milieu in which these authors wrote? I suspect that the only reason so many acknowledge that one should understand the Athenian polis, enlightenment advances, etc. to truly understand these thinkers but are unwilling to recognize the same thing about the Sunzi is that they know very little about ancient Chinese thought or history and are not comfortable admitting it. This is the approach I took in the post "From Whence Springs a Strategic Canon?" The Scholar's Stage (9 April 2014). Most scholarly attempts to do the same inevitable come back to Mark Edward Lewis' Sanctioned Violence in Ancient China (Albany: SUNY Press, 1990), 97-104, who did it best. His book also contains the best description of the social and political changes that swept the Chinese kingdoms during the warring states generally. Andrew Seth Meyer, "Introduction," in The Dao of the Military: Liu An's Art of War, trans. Andrew Seth Meyer and John S. Major (New York: Columbia University Press, 2012), 8.
 ibid. Those looking for the original Zuo Zhuan passage should see B8.13.2/209/19 – year 13 Duk Cheng Lu (573bc). Translated in Edward Shaughnessy, " "New" Evidence of the Zhou Conquests," Early China, vol 6 (1981–82), 66–67. Meyer, Dao of the Military, 11, 13. Sometime in the fall of 2009 I realized that I was having trouble keeping the topics and titles of the many books I have read straight. To fix the problem I started "an annotated bibliography of everything," recording the bibliographic information and a concise (usually 3-5 sentence long) review of every book I finished from that point forward. Keeping it up to date can be a bit tedious, but in this case the rewards of tedium redeem its costs. One of the neat things it allows me to do is list everything I have read over the course of any given year. Last January I published the full list of books I read in 2013. I still do not quite understand why that list was so well-liked, but liked it was, earning a spot as one of the most popular posts published on the Scholar's Stage that year. It success has convinced me to repeat the formula and make this an annual tradition. Thus I gladly present the next list: "Every Book I Read in 2014." The following list of books is roughly chronological, listed by the time when I finished, not started, each book. It is a bit shorter than last year's. I attribute this to the number of books that I read this year that I read only in part, and to the increased amount of time I spent with language study and practice. I set a goal to read more fiction this year, and that I did, though it might not be immediately apparent. While the number of fiction titles is not much larger than appeared on last year's list, the length of the novels that do appear are all quite long (most more than 800 pages), meaning I spent much time reading fiction this year than I did before. I have bolded the ten best books of the year (as was the case last year, books that I have read before--such as Sima Qian's Record of the Grand Historian--were disqualified). If I wrote a book review or review essay for the book here at the Stage or at Amazon then I have placed a link next to its citation. Jorgenson, Kregg, Acceptable Loss: An Infantry Soldier’s Perspective, (New York: Ballantine Books, 1991). Herr, Michael. Dispatches. (New York: Vintage International, 1991; or. ed. 1977). Devanter, Lynda van, Home Before Morning: The Story of an Army Nurse in Vietnam 2nd ed (New York: Beufort Books, 2001). FitzGerald, Frances. Fire in the Lake: The Vietnamese and the Americans in Vietnam. (or. ed., 1972; rev. ed, New York: Little Brown and Company, 2002). Short, Philip. Pol Pot: Anatomy of a Nightmare. (New York: Henry Holt and Co., 2003). Sanderson, Brian. The Way of Kings. (New York: Tor Books, 2010). Military Conflict. (New York: Touchstone, 1991). Dang Thuy Tram, Last Night I Dreamt of Peace, trans. Andrew Pham (New York: Harmony Books, 1991). Hayslip, Le Ly and Jay Wurts, When Heaven and Earth Changed Places, (New York: Doubleday, 1989). Elverskog, Johan, Our Great Qing: Mongols, Buddhism, and the State in Late Imperial China (Honolulu: University of Hawaii Press, 2006). Edelman, Bernard (ed. ), Dear America: Letters Home From Vietnam (New York: Pocket Books, 1985). Miller, Roger Lemoy, Economics Today: The Macro View 16th ed. (Boston: Addison Wesley, 2012). Robb, John, Brave New War: The Next Step of Terrorism and the End of Globalization (Hoboken, New Jersey: John Wiley and Sons, 2007). Headrick, Daniel, The Tools of Empire: Technology and European Imperialism in Nineteenth Century (New York: Oxford University Press, 1981). Hugo,Victor. Les Miserables. trans. C.E. Wildbur, ed. and abridged, Laurence Porter (New York: Barnes and Nobles Publishing, 2003). Fingarette, Herbet, Confucius: The Secular as Sacred (San Francisco: Harper Collins, 1972). Nylan, Michael, and Michael Lowe, ed. China’s Early Empires: A Re-appraisal (Cambridge: Cambridge University Press, 2010). Tolkien, J.R.R. The Fellowship of the Ring (New York: Ballantine Books, 1982, or. ed. 1952). Tully, John. France on the Mekong: A History of the Protectorate in Cambodia, 1863-1953 (Lanham, New York: university Press of America, 2002). Moeller, Hans Georg. The Philosophy of the Dao De Jing. (New York City: Columbia University Press, 2008). Tolkien, J.R.R., The Two Towers (New York: Ballantine Books, 1982, or. ed. 1954). Raaflauband, Kurt and Nathan Rosenstein, eds., War and Society in the Ancient and Medieval Worlds (Cambridge: Harvard U.P., 1999). Li Feng, Early China: a Social and Cultural History (New York: Cambridge University Press, 2013). Tolkien, J.R.R., The Return of the King (New York: Ballantine Books, 1982, or. ed. 1956). Goodman, Decoding China’s Emerging “Great Power” Strategy in Asia (Washington DC: Center for International and Strategic Studies, 2014). Bray, Francesca, The Rice Economies: Technology and Development in Asian Societies (Berkeley: University of California Press, 1985). Willson (Tokyo: Kodansha International, 1992; or. ed. 1966). Walter, Carl E. and Fraser J.T. Howie, Red Capitalism: The Fragile Foundations of China’s Extraordinary Rise (Singapore: John Wiley and Sons (Asia), 2011). [Scholar's Stage post]. Bechtol, Bruce, Jr., Defiant Failed State: The North Korean Threat to International Security (Washington DC: Potomac Books, 2010). Office of the Secretary of Defense, Annual Report to Congress: Military and Security Developments Involving the People’s Republic of China, 2014 (Washington DC, Department of Defense, 2014). Pettis, Michael, The Great Rebalancing: Trade, Conflict, and the Road Ahead for the Global Economy (Princeton: Princeton University Press, 2013). Chan Chun-shu, The Rise of the Chinese Empire, vol I: Nation, State, and Imperialism in Early China, ca 1600 BC-A.D. 8 (Ann Arbor: University of Michigan Press, 2007). Cai Liang, Witchcraft and the Rise of the First Confucian Empire (Albany: SUNY Press, 2014). [Scholar's Stage post-Pending]. Axlerod, David, The Evolution of Cooperation, rev. ed., (New York: Basic Books, 2006). Yu Ying-shih, Trade and Expansion in Han China (Berkeley: University of California Press, 1967). Blainey, Geoffrey, The Causes of War (New York: The Free Press, 1973). Shelling, Thomas, Arms and Influence, 2nd ed. (New Haven: Yale, 1996). Kennedy, Robert, Thirteen Days: A Memoir of the Cuban Missile Crisis, rev. ed with foreword by Arthur Schlesinger Jr. (New York: Norton and Company, 1999 [or. ed. 1971]). Huan Kuan, Discourses on the Salt and Iron (Yen T’en Lun), trans. Esson M Gale (Taipei: Ch’eng Wen Publishing Company, 1967). Perenboom, R.P., Law and Morality in Ancient China: The Silk Manuscripts of Huang-Lao (Albany: SUNY University Press, 1993). Smith, Charles, Palestine and the Israeli-Arab Conflict: A History With Documents, 5th ed. (Boston: Bedford/St. Martin’s, 2012). Jiang Rong, Wolf Totem, trans. Howard Goldblatt (New York: Penguin, 2009). Keller, Markus, “From 'Non-action' to 'over-action': An Analysis of the Shift of Political Paradigms in the Second Century BC (PhD diss, Princeton University 1993). Loewe, Michael, The Men Who Governed Han China: A Companion to the Biographical Dictionary of the Qin, Former Han, and Xin Periods (Boston: Brill, 2004). Ames, Roger, trans., The Art of Rulership: A Study in Ancient Chinese Political Thought (Albany: SUNY Press, 1994). Ganguly, Sumit., Conflict Unending: India-Pakistan Tensions Since 1947 (New York: Columbia University Press, 2001). Bielenstein, Hans, The Bureaucracy of Han Times (New York: Cambridge University Press, 1980). Ebray, Patricia, Anne Walthall, and James Palais, East Asia: A Cultural, Political, and Social History, 2nd ed. (Boston: Cengage Learning, 2008). Anderson, Qin-Hong, ed. Masterworks Chinese Companion (Boston: Cheng and Tsui, 2007). Liu An, The Huainanzi: A Guide to the Theory and Practice of Government in China, trans. John S. Major, Sarah Queen, Andrew Meyer, and Harold D. Roth, trans. (New York: Columbia University Press, 2014). De Bary, William Theodore, Sources of the East Asian Tradition, vol I: Pre-modern East Asia (New York: Columbia University, 2008). McNiell, William H. The Pursuit of Power: Technology, Armed Force, and Society since AD 1000 (Chicago: University of Chicago Press, 1982). McGullough, Helen Craig, trans., The Taiheiki: A Chronicle of Medieval Japan (New York: Tuttle Classics, 2004). Berry, Mary Elizabeth. Hideyoshi (Cambridge, MA: Harvard University Press, 1982). I also read substantial portions of (100 pages+), but did not finish, Kelly's The Forager Spectrum: Lifeways of Hunter-Gatherers, Fernandez-Armesto's Civilizations, Fieldhouse's Economics and Empire, Whittaker's Frontiers of the Roman Empire, the Book of Mormon, Shapiro's translation of Outlaws of the Marsh, Yate's translation of The Five Lost Classics, Schwartz's The World of Thought in Ancient China, Loewe's A Biographical Dictionary of Qin, Former Han, and Xin Periods and Crisis and Conflict in Han China, Di Cosmo]s (ed.) Military Culture in Imperial China, Fairbank's (ed.) Chinese Ways in Warfare, Johnston's Cultural Realism, The Old Testament, Baugmart's Imperialism, Brocheux and Hemery's Indochina: A History, Gat's War in Human Civilization, Quinn's, The French Overseas Empire, Bold's Mongolian Nomadic Society, Chu's Han Social Structure, The Cambridge History of Southeast Asia Vol 3, From 1800-1900, The Cambridge History of Chia, Vol I: Ch'in and Han, and The Cambridge History of Japan, Vol 3: Medieval Japan. 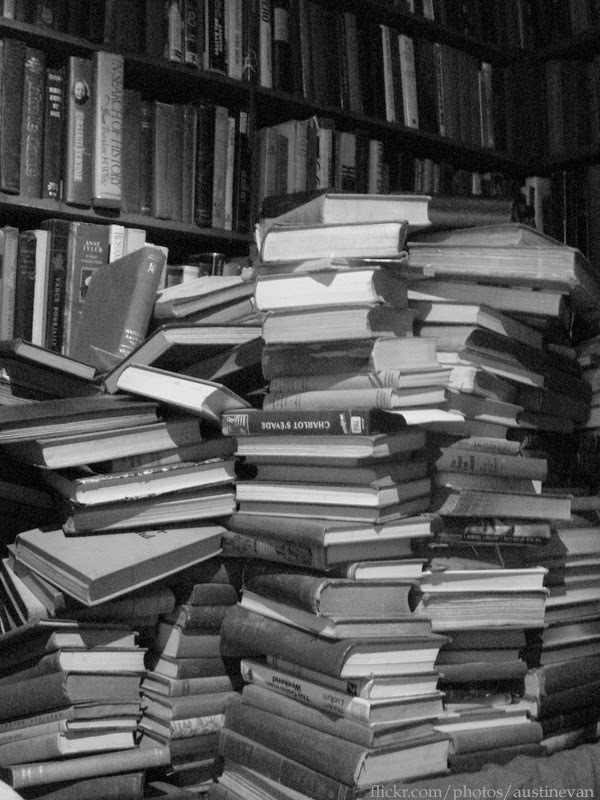 What were the best books you read in 2014?